Students will be able to identify and explain the meaning of simple similes and metaphors in context. 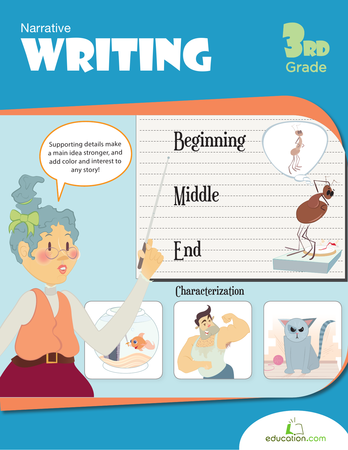 Tell students that a good way to improve their descriptive writing is to use comparisons. There are two common types of comparisons people use when writing. These comparisons are called metaphors and similes. 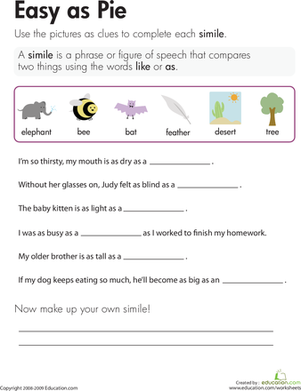 Tell your students that a SimileIs a comparison that uses the words "like" or "as." Write “She is as busy as a bee.” on the board. Ask for a volunteer to explain what that comparison means. Tell your students that a MetaphorIs a word or group of words that compares two people, animals, things, or places. Write "The classroom was a zoo when the substitute teacher was there." on the board. Ask a volunteer to explain this comparison. 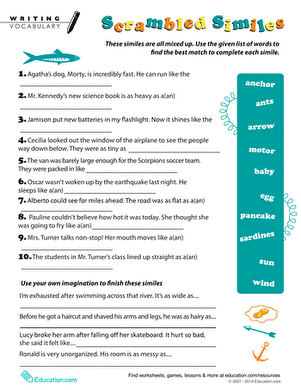 Make anchor charts to display the rules of simile or metaphor comparisons if desired. Review once again that similes and metaphors are comparisons. Emphasize that the comparisons are not meant to be taken literally. Note: ESL students have great difficulty understanding the technique of using a comparison that is not meant to be taken literally. Check for student understanding of this writing technique before proceeding. Tell your students you are going to play a simile game and that you will first demonstrate how to play it. I am as tall as a ___________________. I am funny like a ___________________. I am as fast as a ___________________. I am as happy as a ___________________. I am as clever as a __________________. 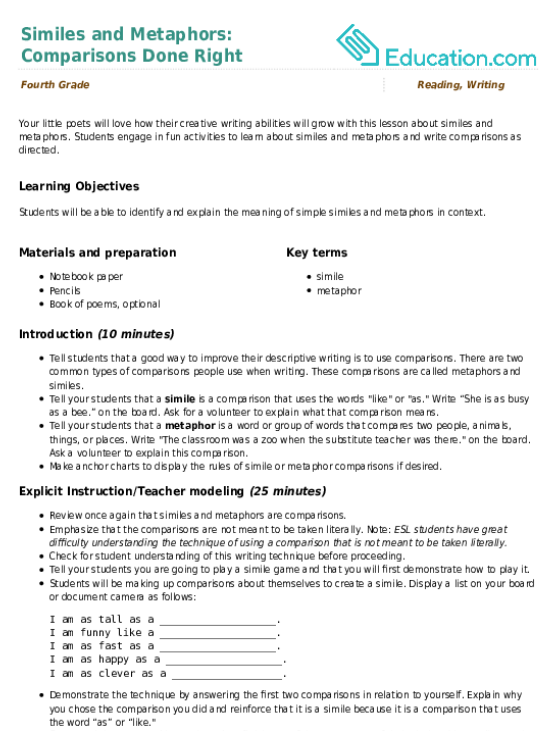 Demonstrate the technique by answering the first two comparisons in relation to yourself. Explain why you chose the comparison you did and reinforce that it is a simile because it is a comparison that uses the word “as” or “like." Go around the room and let each student finish one of the statements of their choice. Always discuss the comparison and reinforce why it is a simile. Write down some of the comparisons the students make and save those comparisons for the Guided practise section. Repeat the activity, but this time students will be making metaphors. Review the definition of a metaphor. Stress that a metaphor does not make a comparison with the words “as” or “like." 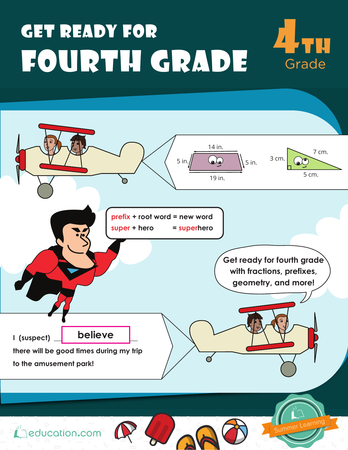 This activity is usually more challenging and students will need guidance to create a metaphor. Help them develop their comparison and to make it a metaphor and continue to demonstrate this comparison as needed. Her heart is a ___________________. My teacher is a ___________________. The world is a ___________________. My best friend is a ___________________. 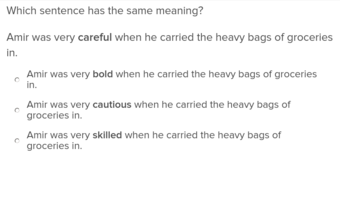 Demonstrate the technique by completing several of the metaphors. 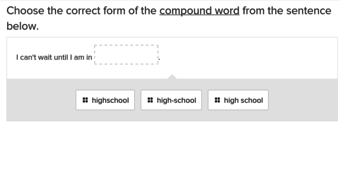 Go around the room and allow students to select the comparison they want to complete. Ask students to explain the meaning of their comparison as you did with the similes. Write down several of the responses for Guided practise. 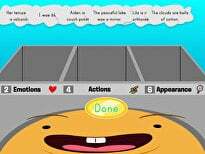 Have the simile and metaphor responses you recorded from the Explicit Instruction activity. Tell students that they will practise identifying similes and metaphors. Read the class' examples. Ask for a student volunteer to identify the type of comparison and to explain what the comparison means. Check for understanding and work with students struggling with these comparisons in a small group. Select an engaging and fun topic such as zombies for this segment. Tell students that you want them to take out a piece of notebook paper and write down two similes and two metaphors about zombies. Collect their papers when completed and use for assessment. Enrichment:Challenge students to take the comparisons they wrote during independent working time and create a poem that uses two or more of the comparisons they wrote. Support:Provide small group support for struggling students so they can review and practise the comparison techniques of metaphors and similes. Review student zombie comparisons and check for mastery of similes and metaphors. Provide feedback on their papers and return. Ask students to volunteer to share their examples of similes and metaphors with the class. Ask other students to explain why the student example was a simile or metaphor. 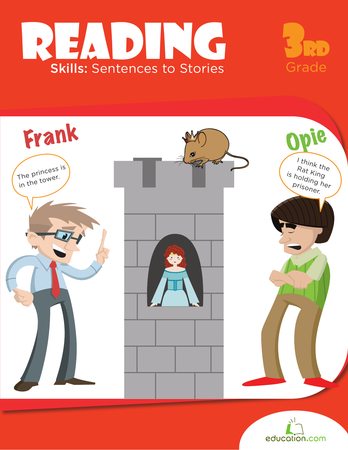 Summarize the lesson by reinforcing the rules that make a comparison a simile or metaphor. Consider reading a poem to the class that contains some examples of similes or metaphors and discuss how those comparisons enrich the writing of the poem. Students engage in fun activities to learn about similes and metaphors and write comparisons as directed.